As CEO of Starcom USA, Lisa Donohue empowers her company to exceed challenges on behalf of some of the country’s mightiest marketers, including Allstate, Anheuser-Busch InBev, Bank of America, Burger King, Kellogg, Microsoft, P&G, Samsung and more. Since becoming CEO in 2009, Lisa has spurred creative transformation, establishing Starcom as MEDIA’s 2011 Creative Media Agency of the Year, and winning more than 100 honors for clients in the past two years. She is a member of Starcom MediaVest Group’s Global Executive Management Group, a trustee of Milton Academy in MA, and serves on the Advertising Women of New York board of directors. Lisa was the Chicago Advertising Federation’s Advertising Woman of the Year in 2011, and Adweek’s 2011 Executive Media All-Star. 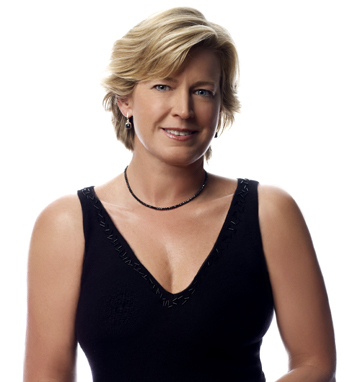 In 2006, Advertising Age recognized her as a Woman to Watch. She also has two Cannes Media Lion victories (2001) for work on Nintendo.